Sarah Palin’s speech at the Faith and Freedom Coalition’s annual conference on Saturday lacked none of the colorful turns of phrase or jabs she is known for. 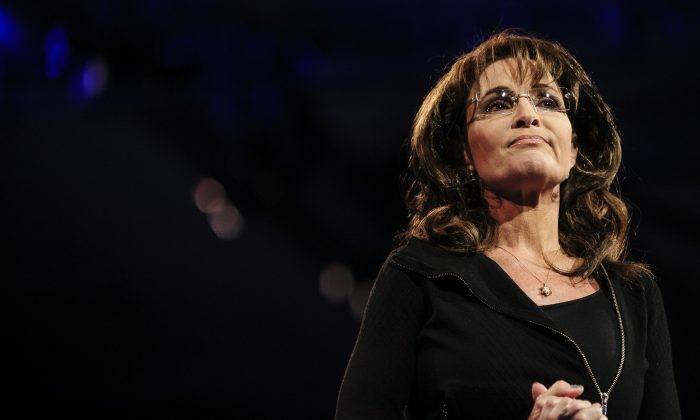 From the “itty-bitty, purple Volts [electric cars]” she described the protesters she encounters as driving, to her remark about sending weapons to Syria—“let Allah sort it out”—Palin summed up the current state of American politics in her particular style. U.S. officials announced Thursday that the United States would send weapons to Syria—a much-anticipated move that hinged on solid evidence that Syria has used chemical weapons. “Really? You try that with the IRS!” she said.